Prepare Potato Buds™ as directed on package, swapping milk for sour cream. Stir in chopped chives or green onions; set aside to cool completely. 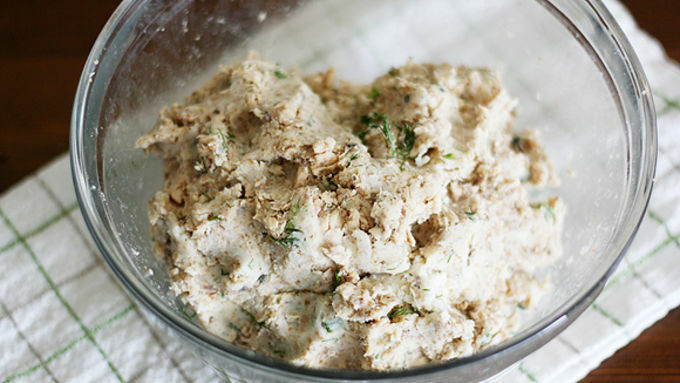 In a large bowl, combine cooled potatoes, salmon flakes, breadcrumbs and chopped fresh dill; stir or use hands to thoroughly combine. Heat a large griddle or skillet over medium-high heat. Coat lightly with oil. 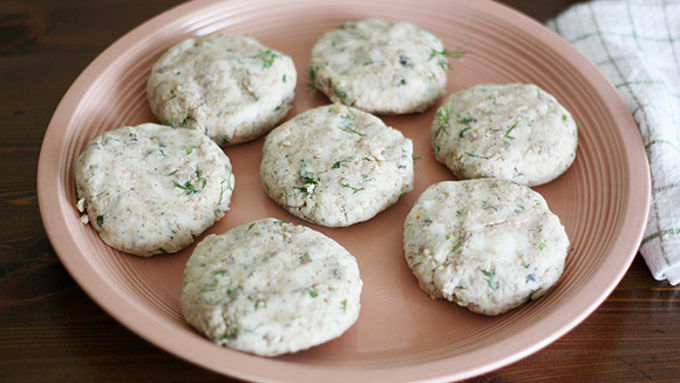 Form salmon-potato mixture into 8 patties about 3 to 3-1/2 inches wide. Transfer patties to hot griddle; cook on both sides until golden brown and crisp, about 5 minutes each side. Remove cakes from griddle; place on serving plates. Combine dijon mustard and honey in a small bowl and serve on the side. If we were to use one word to describe these Easy Salmon-Potato Cakes, that word would be scrumptiliciousastic. Or delicious, take your pick. 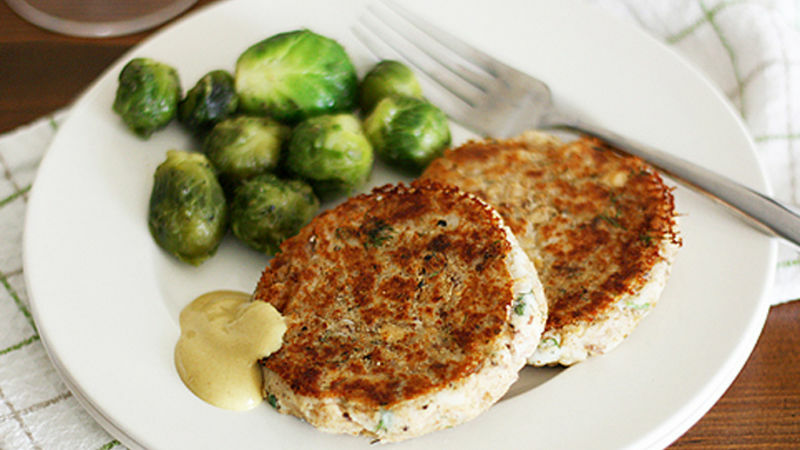 These salmon-potato cakes are good eats. They’re also easy to make, which is the name of the game when it comes to dinnertime. The shorter the time between “What am I going to make for dinner?” to “Get in mah belly!” the happier everyone is. 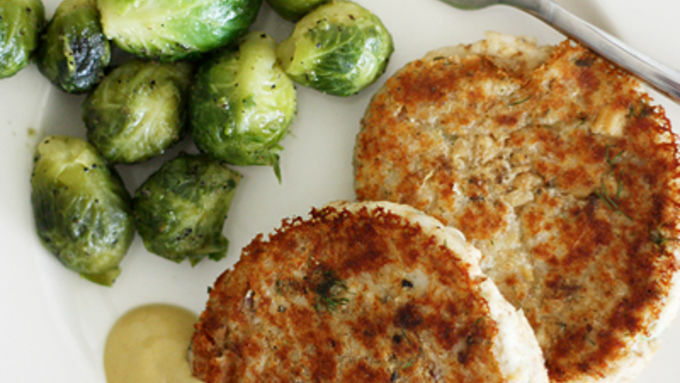 And these little savory cakes of goodness fit the bill perfectly. So, sheesh, let’s stop babbling about them already and start making them! 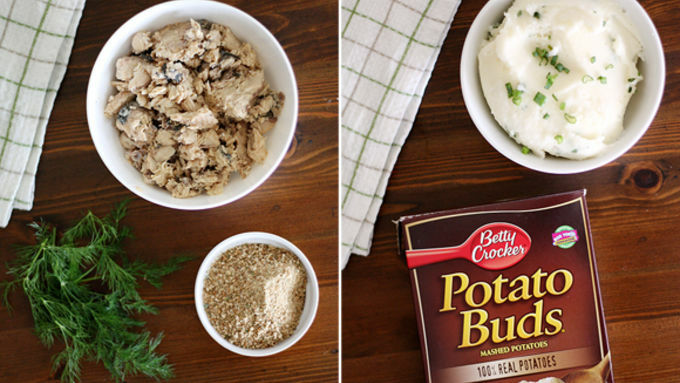 Betty Crocker™ Potato Buds make this process uber simple – all you have to do is stir them together, add some sour cream and chives and get the rest of the ingredients prepped (and by prepped, we mean measure them out and that’s about it). While the patties are cooking, get your Green Giant Seasoned Steamers ready to roll. They make a fantastic and easy side dish to these cakes. Transfer the cooked cakes to serving plates with the Steamers on the side. Serve the cakes with a honey-dijon sauce that is so ridiculously good, you could eat it by the spoonful. Ring the dinner bell – it’s “get in mah belly!” time.